"Quality Windows at a Fair Price" "Alabama Power Certified"
Dixie Window has set the standard for excellence in the sale and professional installation of vinyl and aluminum replacement windows, storm windows, and storm doors for homeowners in the metropolitan Birmingham area. 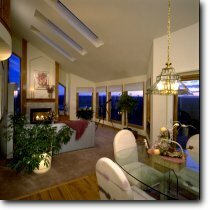 We use only the highest quality materials and we specialize in providing custom-built windows of virtually any size and shape for your home and business needs. *Please note that we only do business in the metropolitan Birmingham-Hoover area. Hover over picture for an easy cleaning demo ! Copyright © 2006 KLH, Inc. All rights reserved.